Shafieenejad, I., Novinzadeh, A. (2630). Low-Thrust Optimal Orbit Raising with Plane Change. Journal of Aerospace Science and Technology, 6(2), 79-85. I. Shafieenejad; Alireza Novinzadeh. "Low-Thrust Optimal Orbit Raising with Plane Change". 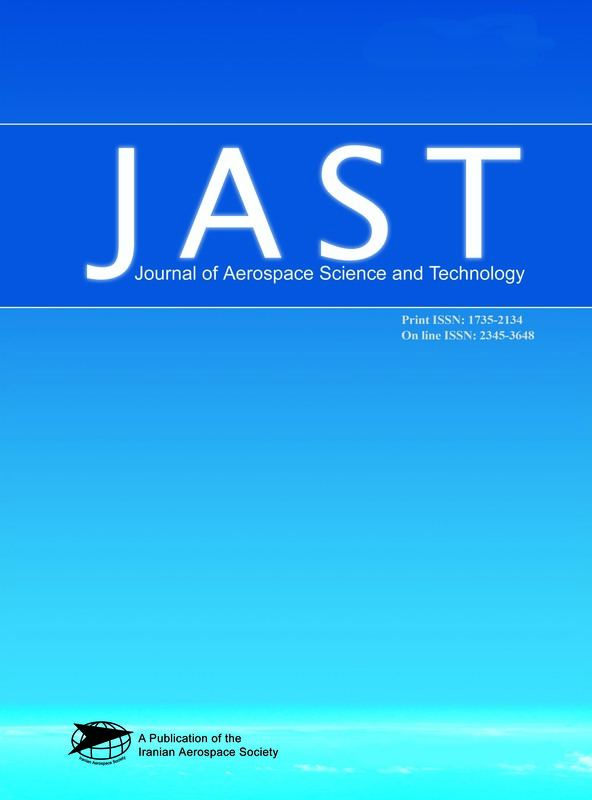 Journal of Aerospace Science and Technology, 6, 2, 2630, 79-85. Shafieenejad, I., Novinzadeh, A. (2630). 'Low-Thrust Optimal Orbit Raising with Plane Change', Journal of Aerospace Science and Technology, 6(2), pp. 79-85. Shafieenejad, I., Novinzadeh, A. Low-Thrust Optimal Orbit Raising with Plane Change. Journal of Aerospace Science and Technology, 2630; 6(2): 79-85. A new guidance scheme for the problem of Low-thrust transfer between inclined orbits is developed within the framework of optimal control theory. The objective of the guidance scheme is to provide the appropriate thrust steering program that will transfer the vehicle from an inclined low earth orbits to the high earth orbits. The presented guidance scheme is determined using Pontryagin’s principle such that three desired performance measures are minimized and boundary conditions for this unspecified final time problem are satisfied. One of the novelties of this work is changing independent variable from time to thrust angle and considering properties of autonomous system equations to reduce to one where exact analytical solution is obtained.